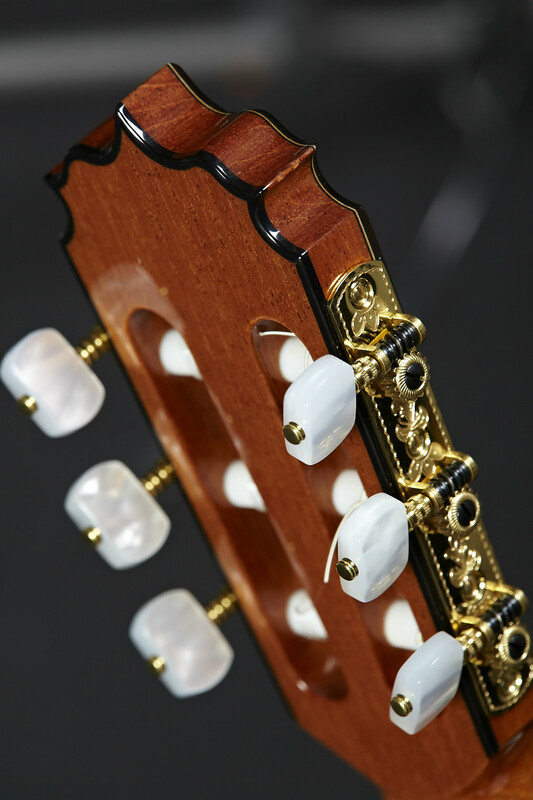 Analyzing the past and investigating in the present with the purpose of improving the future is one of the main objectives that Alhambra guitars applies in the construction of their instruments. 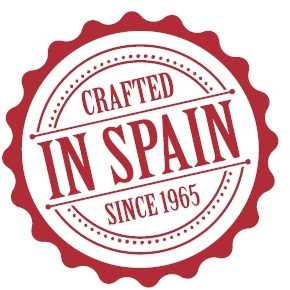 The Vilaplana NT series is the clear example. 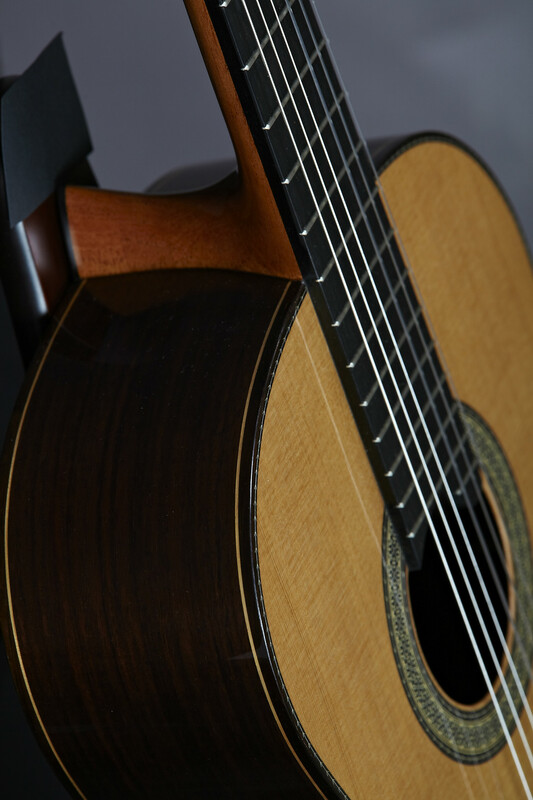 This guitar model is the result of a long investigation in which time, effort and patience are rewarded by the achievement of being able to offer an extraordinary guitar model. 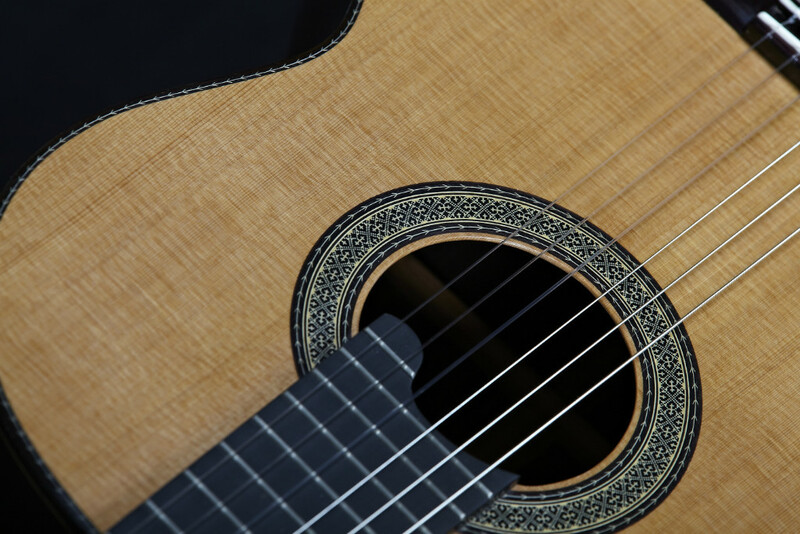 The noble tradition of guitar construction, with the school of Antonio de Torres as an example and guide, is the basis of this instrument that summarizes the best the history of Spanish guitar. Sound beauty, as the result of applying the traditional French polish, endless palette of tones, maximum comfort, sound balance and great projection, are some of the features that the concert will appreciate. Undoubtedly, this guitar is the best travelling companion of an international concert player. 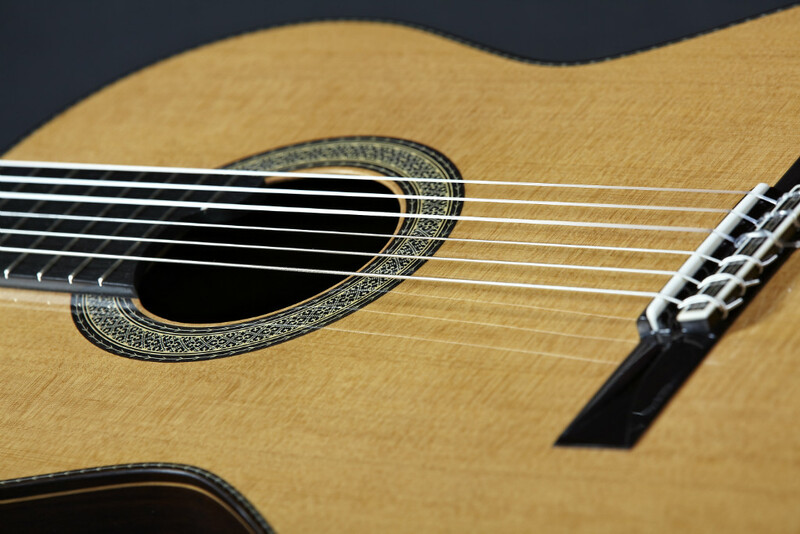 The security and possibilities of the model Vilaplana NT series are appreciated by many guitarists, among which the winners of the latest editions of the Alhambra International Guitar Competition stand out. Recognized guitarists with an unimaginable professional career ahead have chosen the Alhambra model Vilaplana NT series to start their artistic career. 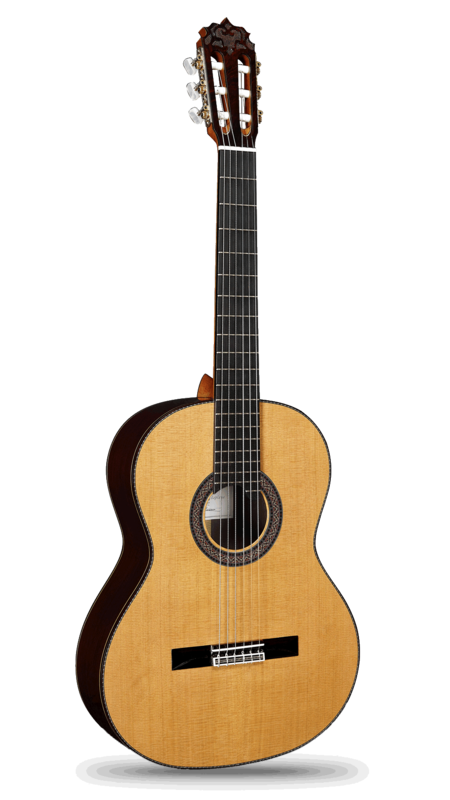 The model Vilaplana NT series by Guitarras Alhambra is made with high quality cedar for the top and a beautiful Indian Rosewood selected for back and sides. 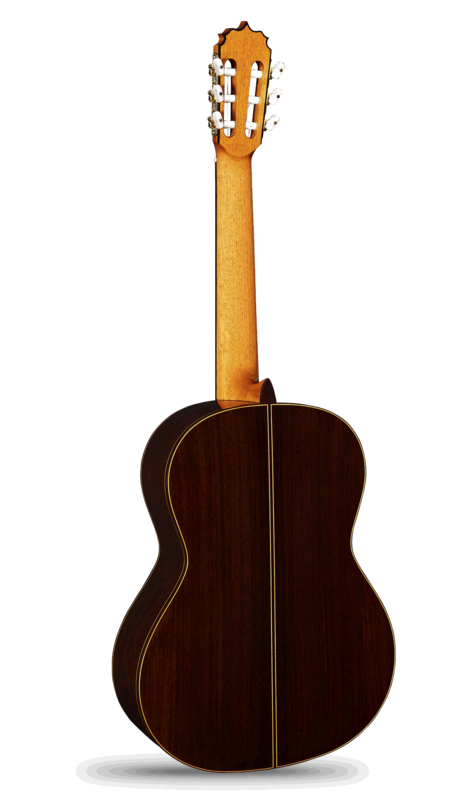 This guitar has been designed with a very comfortable neck made of cedar and with an ebony reinforcement. 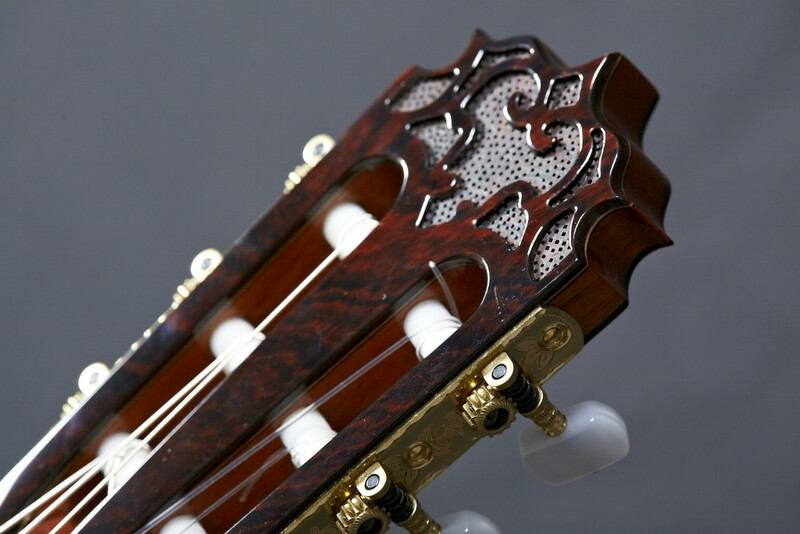 The fingerboard is made of black Ebony and it has 20 frets. 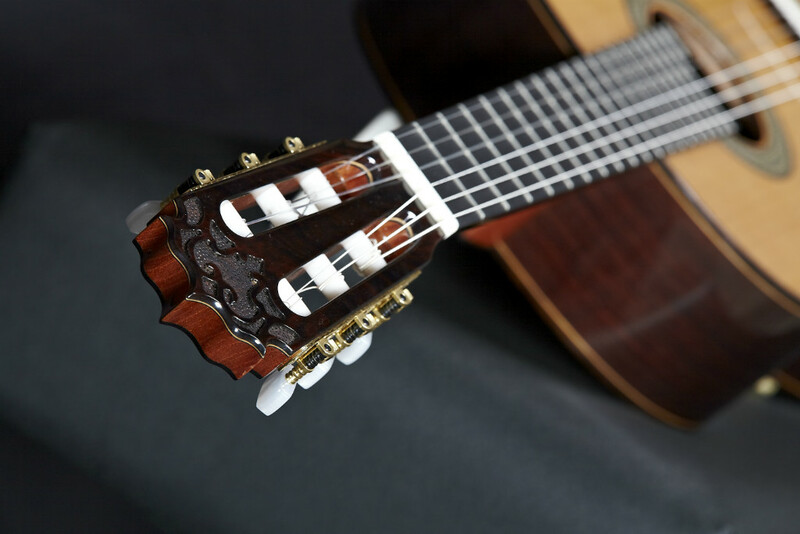 In addition to the traditional French polish, the Vilaplana NT series model comes with Schaller Grand Tune Classic Hauser (BB). A high precision mechanism for tuning the guitar.